DALL, William Healey (1845-1927), Massachusetts-born paleontologist, malacologist and naturalist who studied zoology under Louis Agassiz. Dall collected and studied west coast mollusks from 1865 until his death in 1927. 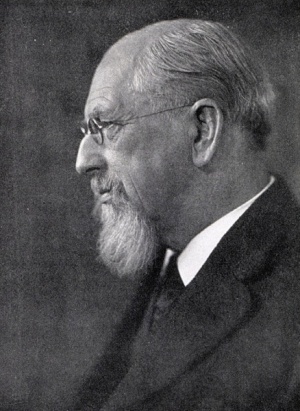 Through the influence of Spencer F. Baird, Dall worked for the U.S. Coast Survey (1871-1884); he was made honorary curator of mollusks in the U.S. National Museum; and in 1884 he accepted a transfer to the U.S. Geological Survey as paleontologist from 1884 to 1925. In the winter of 1873 and 1874 Dall paid short visits to San Miguel and Santa Rosa islands where he collected shells and conducted brief archaeological explorations. In January 1874 he and Marcus Baker made a general natural history collecting visit to Santa Catalina Island, and plants collected are in the U.S. National Herbarium. A small number of artifacts he collected on Santa Catalina Island are in the Smithsonian. May 10-November 10, 1876 the Centennial Exhibition, the first official World's Fair, was held in Philadelphia, PA. Dahl supplied the Smithsonian Institution with artifacts from the Chumash region for the Exhibition, as did Paul Schumacher and Stephen Bowers. Dall described and named several mollusks and shells from the California Channel Islands. Dall sheep and Dall Bank are named for him. » Dall, W. H. The Lords of the Isles in Overland Monthly (First Series) 12(6):522-526, 1874. This page was last edited on 25 May 2017, at 09:28.